Back on the market! 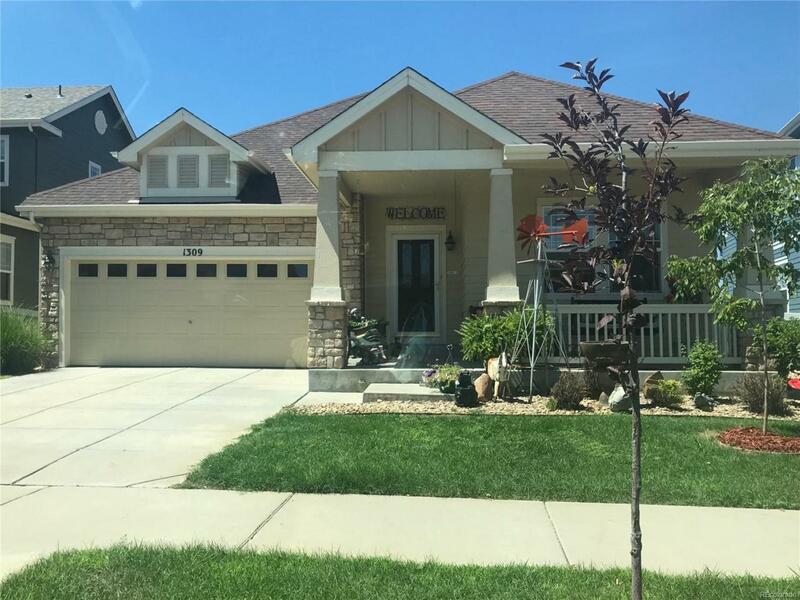 This attractive starter home is conveniently located steps from Murphy Creek Golf Course, community pool and elementary school. Property sits privately off open space backing Murphy Creek Elementary. Open kitchen is complete with upgraded cabinets, stainless steel appliances and an eating area-perfect for entertaining. Spacious rooms and ceiling fans throughout the home. Trey ceiling in large master bedroom. Large soaking tub and separate glass shower in master bathroom. Tons of natural light throughout home. Enormous unfinished basement. Beautiful large Trex deck with new stairs-perfect with clear views of our gorgeous Colorado sunsets and summer BBQs! Backyard is xeriscaped for easy maintenance. New radon mitigation system has been installed. HVAC systems and water heater have been cleaned, serviced and certified. Roof has been corrected and certified. Golf course community and quiet neighborhood. $1500 carpet allowance! Sellers are motivated! Welcome home!